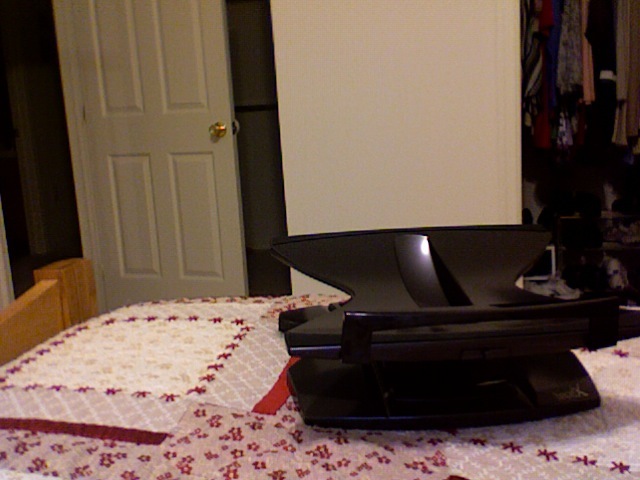 It’s a laptop stand…I took the picture with my laptop so I can’t show you what it looks like w/ a computer on it…but my laptop is on it right now at at angle so it’s more egonomically correct. The big white thing in the background is my wall and the red thing is my bed spread. Not manly enough for The Dawg, though. Phooey. But then I sometimes like stupid humor. “Step Brothers” had me laughing out loud in several places. HBO is cool, but the best thing about HBO (Six Feet Under) is not on anymore. Bah. If I had HBO, I’d watch Entourage. Love HBO. Their original series are amazing. True Blood looks like it could be another great one.